Despite the bitter conflict that divided Jerusalem and Damascus, a fascinating process of indirect – through the United States – and tacit understandings emerged with regard to Lebanon in the 1970s. This derived largely from the Israeli deterrence posture which held in check Syrian military involvement in Lebanon. 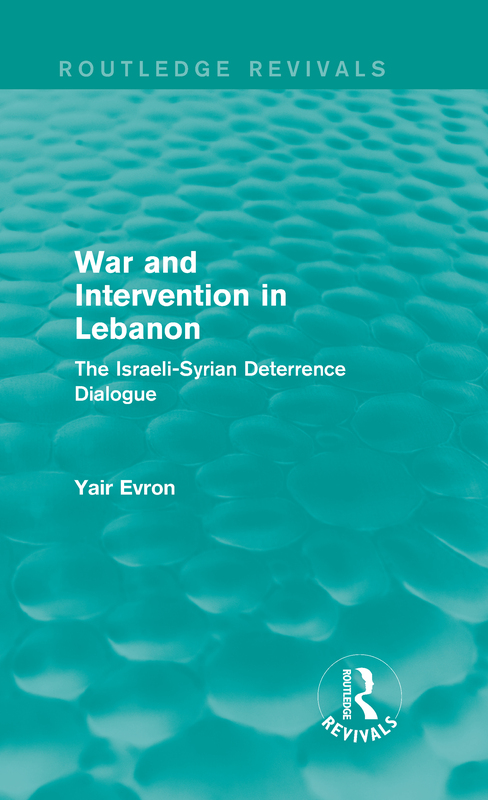 This book, first published in 1987, traces the development of the Israeli and Syrian involvement in Lebanon between 1975 and 1985, and of the deterrence dialogue which evolved between them. It also places this dialogue within the larger context of the overall Israeli-Syrian deterrence equation. War and Intervention in Lebanon is a fascinating and relevant work, of great value to those with an interest in International Relations and Middle Eastern history, politics and diplomacy.